The “Certified Aging In Place Specialist (CAPS)” designation is a joint program of the NAHB (National Association of Home Builders) and AARP, which you can attain after completion of the three-day program of required courses. You do not need to be a member of either organization to complete the program. Here are some other helpful questions and answers about the CAPS program. 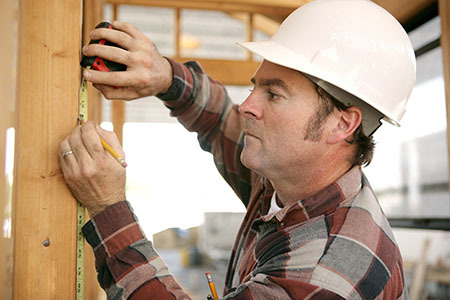 As a remodeler or general contractor, a trades sub-contractor (carpenter, plumber, electrician, roofer, flooring or lighting contractor, low-voltage electrical systems, drywall contractor, cement finisher, abinet or countertop fabricator, tile setter, or so many others), occupational or physical therapist (or assistant), interior designer, kitchen and bath designer, architect or building designer, real estate sales professional, health care professional, care manager, durable medical equipment specialist, equipment specialist, assistive technology professional, paramedic, home health provider, attorney, insurance agent or adjuster, or so many other professions working with people to help them remain in their homes and to keep their living environment safe and comfortable, this training is for you! 2016 was a fantastic year for CAPS classes presented by Steve Hoffacker, CAPS, CEAC, SHSS, adding to the momentum created in 2015 when Steve was named the NAHB “CAPS Educator of the Year.” We finished 2016 with 25 three-day CAPS classes conducted and 12 Universal design/Build courses – in West Palm Beach, Florida and other cities in the Midwest and Northeast. In 2017, the schedule had even more dates, and Steve became a Master Instructor in January 2017. In 2018, even more cities were added, and some 42 class sessions were conducted in 16 cities in Florida, the Northeast, and the Midwest. That continues in 2019. Steve consistently receives very positive reviews from attendees and is one of the highest rated instructors nationwide. These are also available on video. Regardless of the type, size, or age of a home or apartment that people currently have, they want to remain living in their present homes for as long as they can. Some people may eventually move into another home later on, but their current home or apartment (owned or rented) needs to be treated as if this is their forever home. Many people already have found their forever home (because they really like it, they love the location, or they can’t afford to replace it) and will stay in that home for the long-term. This trend of remaining in place and not moving has been developing for several years and shows no signs of abating. Actually, it’s growing in popularity and demand. This is where you, as a solutions-oriented professional, come in. If you are connected to residential remodeling, renovations, home modifications, or the health and safety of people inside their homes, then you need to be part of the aging-in-place and universal design solutions that people are seeking. People are craving the ability to stay in familiar surroundings as they age rather than pulling up roots and moving into a retirement facility or nursing home. In addition to the stress and emotion of packing up and moving, there is the economic impact of being able to afford moving from their present home. Sometimes people can do remain living in their present homes by making very little physical changes to their homes. Other times, more major renovations are called for – especially when there are physical or health concerns that need to be accommodated. Nevertheless, these are less costly than moving into a retirement home, and it helps tremendously with the mental and emotional health of the people you are serving. If you already have your CAPS designation – from Steve or another instructor – ask Steve about a refresher class – CAPS I, II, and III were all brand new in 2017! The chief objective in helping people remain living where they are is safety. This comes in many forms – from eliminating tripping hazards, preventing falls in general, appealing to vision issues, creating open passageways, having wide accessible doorways, and locating within easy reach and grasp such items as shelves, door pulls, appliances, faucets, light switches, and other functional elements of a home. The CAPS training prepares you to be instrumental in helping people remain independent as you effectively assess what needs to be done in their homes to help them cope with aging issues and concerns and to offer practical solutions for addressing and achieving those results. To obtain your CAPS designation, you must complete all three (3) classes – CAPS I, CAPS II, and CAPS III. There aren’t any exemptions or exclusions, everyone must take all three classes regardless of previous expertise. As a convenience to you, Steve offers all three classes in the same location on consecutive days – all at the same price, regardless of location – whether in West Palm Beach, Florida or other cities. The classes are $300 each (times 3 for all of the classes for the CAPS designation) for anyone who is not a member of NAHB and $275 each for members (if your company is a member, you get member pricing). In addition, there is an application fee (“graduation”) of $110 or $218 for non-members (depending on the type of certificate desired, paper or laminated plaque) and $75 or $145 for members. The annual certification renewal is $83 for non-members and $55 for members, upon invoice from NAHB. There is a 12-hour CEU requirement every 3-years that is self-reporting. In addition to the current schedule of course, if you would like to host or have the CAPS classes or the Universal Design/Build course presented in your area by Steve – either just for your company and your employees and strategic partners or for your marketplace in general, please contact Steve for details on how to make this happen. All classes (unless otherwise noted) are 9:00-5:00 and are taught by Master CAPS Instructor Steve Hoffacker in the central West Palm Beach, Florida area at Schwarzmann European Kitchens. Other venues for 2019 include Siskin Hospital for Physical Rehabilitation in Chattanooga, TN; Home Builders Association of Stark & East Central Ohio in North Canton, OH; Home Builders Association of Greater Springfield in Springfield, MO; HomeSource East Tennessee in Knoxville, TN; Harmar Mobility in Sarasota, FL; VGM Homelink (Cedar Valley Home Builders Association) in Waterloo, Iowa; Aging In Place Professionals in Charlotte, NC; Quad Cities Builders & Remodelers Association in Davenport, IA; Acme Brick, Tile & Stone (Greater Fort Worth Builders Association) in Euless, TX; Premier Granite in Mason, OH; North Georgia Home Builders Association in Gainesville, GA; Thomsen Construction in Danvers, MA; Tampa Bay Builders Association in Tampa, FL; Rochester Home Builders’ Association in Rochester, NY; Flint Hills Area Builders Association in Manhattan, KS; Occupro in Kenosha, WI; and several other public and private offerings. Find these locations on a convenient map. Steve’s policy is that as long as one person is registered and confirmed (paid) for the complete class offering (either the 2-day Universal Design/Build course or the 3-days of CAPS classes) – at least two weeks prior to the first day of the class – it will be held. After that, that class may be canceled. Rest assured that if you want to take a class – even if you are the only one in attendance – it will be held as scheduled. This way, you can make your travel and scheduling arrangements with confidence. Check out these resources if you need lodging information or want to know about local activities when visiting West Palm Beach.